Click 'Tools' > 'Quarantined Items' to open this area. CCE places suspicious and harmful files in the quarantine area, where you can review them and take further actions. Quarantined files cannot be run or executed. This isolation prevents infected files from affecting the rest of your PC. Delete / Delete All - Remove the selected files from your system. Restore	– Return the file to its original location. 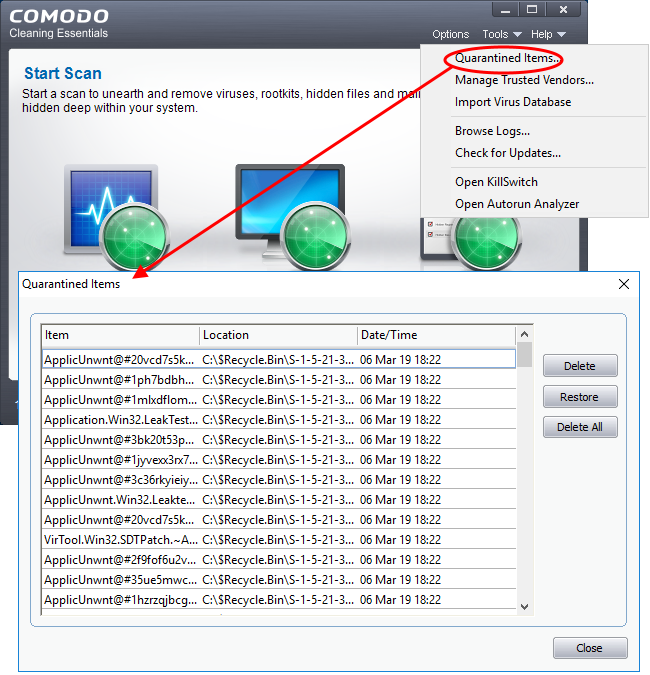 If the file is actually malware then it will be detected by future antivirus scans.